Gotham should be one of the best shows on TV. It has everything you’d want; compelling characters, an interesting setting, action, mystery, procedural format and it is based on the history of one of the best known and best loved superheroes. Unfortunately, there is something “off” about Gotham which stops it being the juggernaut it could potentially be. For starters, the tone doesn’t feel right. At times, Gotham is a dark, gritty show, set in the Tim Burton or Christopher Nolan superhero universe. It has gore, mature content and is clearly not for the fainthearted. At other times it’s feet are firmly in the comic book camp, with ridiculous characters, crazy story-lines and a tone which clashes with the darker setting. It would help if the show decided which it would prefer to be. When it is darker and gritty, it works very well. 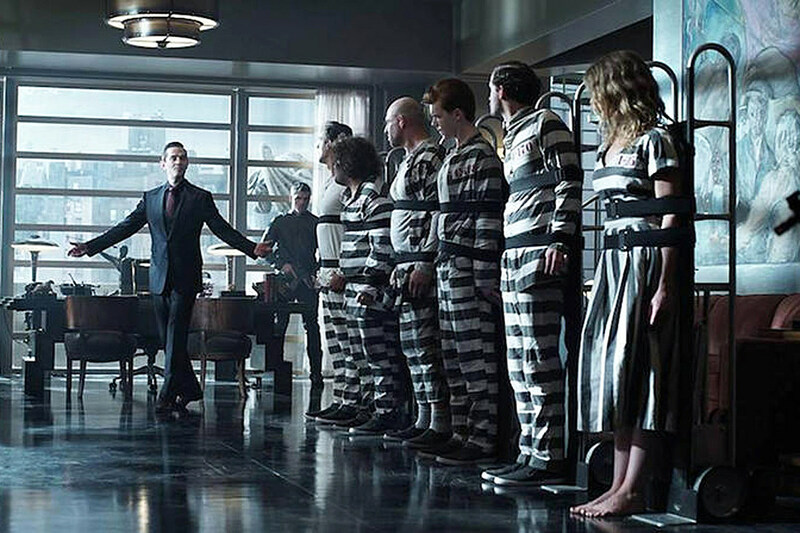 A story-line involving Cory Michael Smith’s Edward Nigma, slowly descending into madness and then plotting and planning perfect crimes is exactly what this show needs. 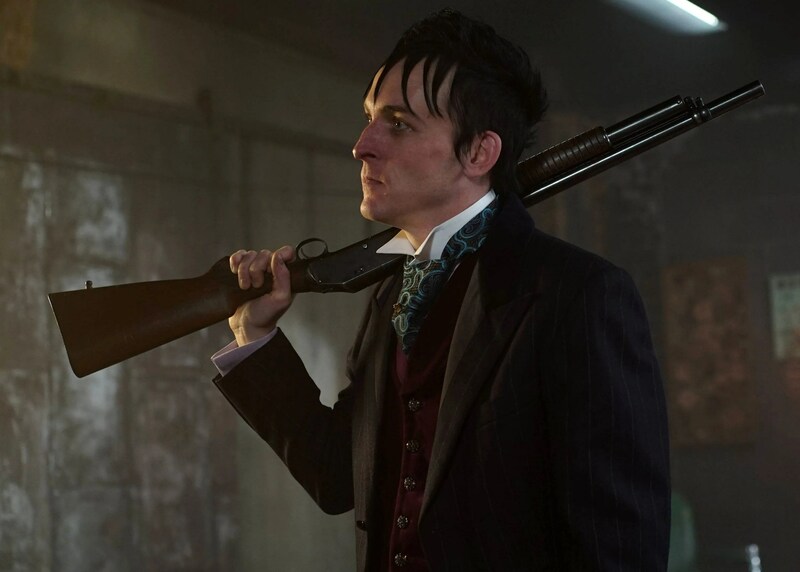 The same for Robin Lord Taylor as Penguin, a character who begins quite silly but gets darker and more interesting with plot development. This is where Gotham’s biggest flaws show themselves. There are too many characters seemingly treading water. Penguin is good but goes round the same story twice, as does Erin Richards’ returning Barbara Kean. The less said about the under-utilised Morena Baccarin as Leslie Tompkins the better. The character given the worse treatment is arguably the one who is most important – Bruce Wayne. There is a central story-arc here but it is so drawn out and so over-played that all David Mazouz’s character can do is tread water until the show catches-up. This means a lot of sulking, disobeying Sean Pertwee’s excellent Alfred, getting kidnapped, getting rescued and then more sulking. It becomes the story you care the least about which is shocking considering the show is arguably his story. Or at least, half of his story. The saving grace in Gotham is Ben McKenzie as Jim Gordon. The actor carries the show ably. He can do action very well, delivers the drama with ease and even gets chance to show some comedic talent (when Gotham allows it). Even he doesn’t get away from the rinse and repeat nature of the writing though. Overall, there is potential in Gotham and it will always have the link to Batman and the interesting future it preludes as it’s hook. It has some decent stories, great characters but an uneven tone which needs to be settled as we enter it’s third season. Best Episode – The Last Laugh: A great twist in what looked like the story of The Joker. Should there be another season? – Yes but only because of the potential on show. This show could be brilliant if it sorts it’s tone out. Yeah, I definitely agree. A lot of the series was too Schumacher-esque, silly and cartoonish but I really liked Cory Michael Smith, possibly the best Riddler I’ve ever seen! Definitely. He is becoming one the best aspects of the whole series. That is a good scene but would be better if the whole series was always as crazy as that.